With the housing market still on the throes of recovery and the financial health of the nation still weak, experts are predicting the U.S. is transforming into a “rental society.” Rental vacancy rates in the U.S. reached 7.5 percent in the second quarter, down 0.8 percentage points compared to the first quarter this year, according to the Housing Vacancy Survey conducted by the U.S. Census Bureau. The latest report shows a steady downward trend in rental vacancy rates since the third quarter of 2009, when the country was still feeling the effects of the recession. As more Americans are occupying rental properties, the rate for rental vacancies may continue to decrease. Rental vacancies dropped as low as 5.8 percent in some parts of the country in the second quarter, according to the Housing Vacancy Survey. 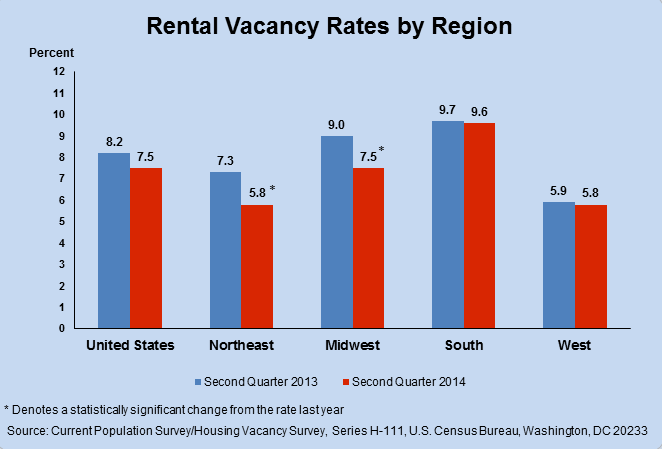 According to the Census Bureau, rental vacancy rates decreased for all regions in the second quarter compared to the same period last year. The Northeast recorded the biggest drop, with rental vacancy rates reaching 5.8 percent from 7.3 percent last year. The Midwest also saw a large decrease in rental vacancy down from 9 percent in the second quarter of 2013 to 7.5 percent this year. Experts cite tougher credit standards as one of the major reasons why homeownership is harder to obtain, Reuters reported. Not only has it been more difficult for consumers to be approved for home loans, but many are still struggling to find jobs that will make it easier to afford houses. The combined effects of slowing wage growth for many workers and increasing mortgage rates reduces homeownership rates and makes renting more appealing. Of the rental properties seeing increased demand after the economic downturn, multifamily homes is the fastest growing segment of the market, according to Reuters. 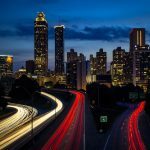 With the weak housing market recovery and rising demand for housing, the availability of multifamily properties will decrease. To fill the housing gaps and respond to surges in demand, investors will find it profitable to invest in single-family rental properties.